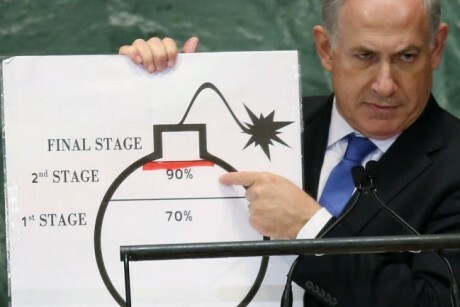 Just when I thought everything that could be written about Netanyahu’s “Bomb” graphic at the U.N. had been written, a local pundit had to apologize for discussing this topic to his audience. Talk about PC gone awry! Whatever you think of Middle Eastern politics, the fact remains that the image made a point and got picked up worldwide. It stole the limelight from his opponents as well virtually every other speaker at the UN. From a presenter’s perspective there is something to be learned here. It is arguably the most significant use of an infographic since the infamous witness "rap" chart that earned mobster John Gotti an acquittal on murder charges in the 90's. That bare bones chart, which simply listed the convictions of all the witnesses against Gotti, made the point that none of their testimony could be trusted and so he got off. 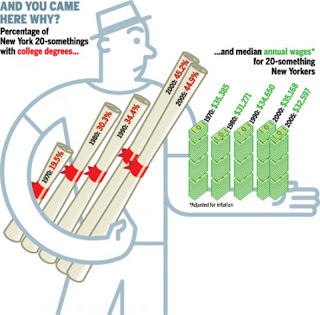 This chart has been a staple of the infographic case studies. Does it mean that murder or organized crime is being endorsed? Whatever that tells you about Middle Eastern politics and the anti-Israel lobby - and it says a lot! - from a presentation perspective there is a real dilemma here. The bomb made a point, got picked picked up worldwide and the message was embedded in the headlines. Any presenter should be so lucky. On the other hand, the image was also criticized as cartoonish - thereby undermining credibility. Some experts claim it was an inaccurate representation of the data but the rationale is almost certainly above the heads of the general public. Because it was so crude - it is arguably an issue that speaks to the unconscious. This addresses the kind of real challenges a business presenter faces. Primal images - like this simplified bomb - really work, but they can have negative residual value, and once its out there you really can't retract it. So, finding the visual that truly represents you is very big challenge. As for the unconscious resonance, studies that test subliminal response tend to use crude graphics because they are most easily picked up by subjects in tests. How this was interpreted is worthy of a separate discussion, but you can be pretty sure that it was there for a reason. My guess is that the history of anti-semitic imagery from the Protocols of Zion to Nazi propaganda all the way up to cartoons in the Arab press are equally crude and they were making a parity statement - "as in we can match you." It is quite common for a company's logo to create an unintended negative resonance. I have a client whose logo, while seemingly good, also screams "emergency!" It is not always a image - it could be a name like Oldsmobile (could it ever win the youth market?) or even a color (many shades of green suggest poison in foods). Much of this is cultural but there known core elements that are universal such as facial expressions - so be wary if your logo has a fake smile. The only way you really know - aside from experience - is through testing. The problem however, is that very few people can articulate their responses and so the researcher has to be able to interpret indirect statements. It is easy to be wrong, misled or just defensive. There are two schools of thought in this field, Edward Tufte’s precise data representation vs Nigel Holmes’ eye-catching visuality. What Netanyahu had was early Holmes. Highly visual, primary image and imprecise but nevertheless convincing data. Had it been Tuftean, it would have been pure chart and may never have made the headlines. Since the impact of these images can be so powerful the rhetorical battle between the two schools can get mightt heated. 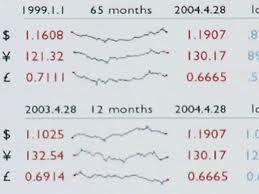 Compare an example of Edward Tufte’s precise data representation to Nigel Holmes’ eye-catching visuality. Tufte's work is so precise that if you use his tables and charts you can only love the elegant utility he brings to them. However, to the casual viewer, it is dry and even forbidding. Worse, it does not inspire the imagination. On the other hand, the very selection of an image invites bias, opinion or even propaganda. Some of Holmes' earlier work like the notorious "Uncle Sam over an oil barrel" is very hard to find on the internet probably because it became highly politically incorrect. Some, like the Diamonds Were a Girl's Best Friend are still out there but probably not going to discussed at the Harvard Business School. For technologist, the implications of this battleground become really clear when you apply it to the limited space of a SmartPhone. Images really matter. But other media matter too: Voice mail is an informational nightmare. If you try to buy a train ticket at an MTA kiosk you will know how critical that interface is if you are stuck behind a newbie while your chances of catching the next train slip away..
I’d be glad to hear your thoughts about the proper use and the misuse of graphics, images, apps, logos and user interfaces. Two Visions of Disaster: Tufte's Fave "Napoleon's March into Russia" vs. Holmes "Monster"
I also hope to share some of the case studies I had done for clients and companies I work with. For those who don’t know, marketing semiotics is my background and I have a book on tobacco industry semiotics, Cigarette Seduction and a couple of graphic novels under my belt. As a journalist I had the rare pleasure of interviewing the heads of the two basic thought categories in this space, Edward Tufte and Nigel Holmes. My next book, Are You Fundable? is a really a kind of semiotic explanation of the Entrepreneur/VC space.